Tattooing is a delicate, important topic of discussion in the right brain community. Predominantly right brained people are non conformist and express their original personnality through different fashions. Tattooing might be the most important one. There’s nobody tattooed the same way, therefore tattoo is a unicity icon. Before all, what counts for right brainers is the message, the feeling of belonging to a group that rejects conformity and the individuality resonating with specific symbols. To those who planned to get their first tattoo, read carefully from number 4 to 14 before to make your mind, because these 10 reasons are largely ignored. If you are already tattooed and in peace with your decision, you may not consider these advises. However, if you are already tattooed and feel bad about it, you should pay attention and read carefully. I have myself thought about getting tattooed. I hesitated. Today, I can say I resisted. I do not judge anyone who decides to get a tattoo. I believe we all have the right to express ourselves as we feel like. I just do not resonate with permanent marks and injuries since they are inconvenient, and mostly, I feel sad for all those who regret their decision. 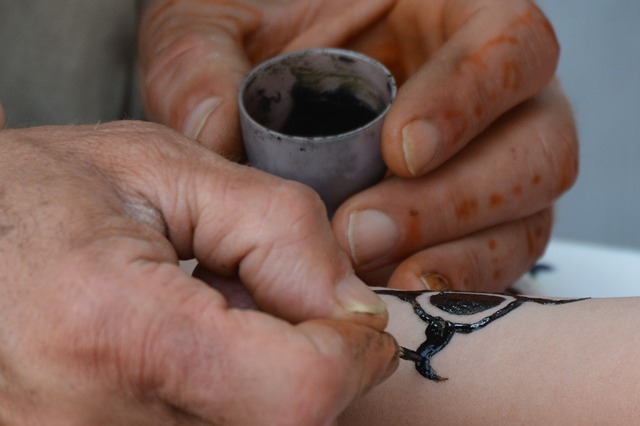 To professional tattoo artist, I know reading this article may shock you. I hesitated for a long time before to discuss about such a delicate topic, but since I am doing it with the intentional purpose of informing, may you consider my message as advise. You cannot go back on your decision when you get a permanent tattoo. You are sensitive in nature? Why bother with pain that you can avoid. Tattoo is a huge stress inflicted to your skin. Also, there is a risk of infectious disease transmitted through blood. When you see the same picture on your skin day after day, you become torn apart when later your consciousness wants to expand. You are still dragged down by the mental implant that is now a retrograde symbol, once cool, but not anymore. Your body energy field frequency is affected by that constant reminder that you cannot escape from. We create our reality from our thoughts. At times, we clean up our minds by forgetting thoughts who are not in resonance with us anymore. When these thoughts are in our face forever, been stuck with it is a handicap. Any living or astral body in the universe regenerates itself several times during its existence. A part of ourselves won’t be able to regenerate when bombarded with dissonant frequencies. Your skin vibrates at a certain rate. When you inflict a trauma to your body tissues such as tattoing, it sends an injury signal to your energetic field. The tissues react to it and may displace an entire portion of your musculoskeletal system, disrupting your physical body steady state. You may not believe in critters and demons, but they are real and are attracted to low vibration. If you tattoo your body with low frequency representation (skull, death, horror, etc.) you attract the negative entities in your living space bubble forever. Consequences can be disastrous. The act of permanent tattooing is a satanic ritual, when you opt for low vibe illustration. All satanic ceromony masters are influenced to be tattooed in order to prove their obedience. Ancient druids and shaman knew about the power of tattoo. High vibe symbols have the opposite effect, which is to keep dark entities at bay. Wise men, sorcers and healers from ancient tribes and civilisations were aware of painting themselves always using earth material that crumbles after a while. You think permanent tattoos are cool because the artistic masterpiece is beautiful or because it’s glamorous, because all your friends are tattooed. If you want to express your non conformism, let’s do it differently than your friends and society’s influence. Be original and express your uniqueness in new ways unseen before. According to IBIS World, in US, tattooing is a $722 M in revenues, 9.8% annual growth, with 57 712 workers (and 35 399 employees in companies), meaning an average of $12 510 of revenues per worker, leaving most of them under poverty line. IBIS World also claim that over the next five years, the industry will continue to grow, as the US population will likely become increasingly tattooed. However, new public health initiatives and regulations may add to operational costs for the industry and pose as barriers to new industry entrants. People are more and more tattooed and the realization of permanent tattoo downsides could trigger radical perception change. Artists living of permanent tattoing must get prepared to the new social trend upcoming. The cost of tattoo removal goes from $50 to $300 per square inch, with usually a minimum of 250$. To remove tattoos, we use lasers, dermabrasion and excision to remove or destroy ink. People with tattoos on a large portion of their body surface can spend easily in the five figures to remove them, not to mention the cost of excruciating pain one must endure to go through the process. Once you’ve realized your mistake and weighted the cost of the solution to remove it, it is a brutal awakening: that’s expansive. Most tattooed people simply cannot afford the removal. The deception may be conscious, but could be burried too. Unconsciously, living with an implant that is no longer reflecting who we are can be painful. You feel bad about yourself. A natural reflex is to shovel it under the carpet and deal with it later. Even when you have completely removed a tattoo, the damage on your skin is now doubled and more. The removal is even worse than the tattoo itself. Anyone who respect his body will avoid permanent tattooing in the first place. The stain of ink will remain, but precise details at the start tend to fade away continuously. If you have a skin that regenerates naturally faster than normal or if you gain a lot of weight, the result will be even worse. I suggest that tattoo artists must convert to temporary tattooing. Temporary tattooing is safe from inconveniences listed in this present article and clients will come more than once if they like your work. On the long run, that means more business. Because once their body is covered, they don’t come anymore. this way you may minimize negative effect to none or almost. Fairly wonderful article.. Visit Web Page I just located your blog and wished to point out that We’ve genuinely appreciated searching your blog post articles. At any rate I will be registering to your current rss feed and i am wishing you write yet again before long!